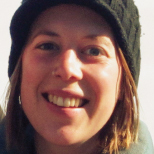 Amelia Apfel is a freelance science writer and Seattle native with a degree in environmental biology. She has written about interdisciplinary research programs, tidal power, green architecture and genetic engineering for various publications, including Conservation magazine, Seattle Business and High Country News. She currently works at the Encyclopedia of Puget Sound.